One of my favourite cut flowers which I often buy for the house are Dutch Irises. I planted about a hundred Dutch Iris bulbs this year in the hopes of having a wonderful display in my garden. Planted below the Beech tree I thought it would be a lovely “story”, at the top half of my back garden. Well … the results were mixed. At first I disliked the foliage which came up quickly and just sort of flopped around. For four months we had this mass of leaves just sort of hanging in there and looking quite messy. Just as I was about to resign myself to the fact that I can’t grow Dutch Irises, what do you know … the foliage seem to perk up, a thick stem appeared from the centre of each “mess of leaves”, and each bulb produced a wonderful large, beautiful Dutch Iris that stood tall and proud for days. The blooms were at least twice the size of the ones I buy from flower sellers and once cut and put in a vase, they lasted for just over two weeks. Was it worth the effort? I have to say no, only because the before and after bloom stage is aesthetically not very appealing. If you have a very large garden and an area that you don’t mind having the scraggly foliage limping around for months, then perhaps. But the cost / effort vs reward was small. I might be tempted to try it again, but in pots next time. You capture it in a such elegant way! Donna BTW if you click the RSS button at the top, you can also use that for an email subscription. I am keen to see the results of all the Irises I have planted . The foliage is growing and will be attractive and will fit well amongst other bushy plants. Christine I have been away far too long. I am not on Blotanical much these days and without a way to subscribe via email, I miss your posts, but I will try to make a point weekly of stopping by. I will be back to Blotanical soon. Anyway, I have missed your posts and am wondering how you are? I love your Dutch iris and I have mixed feelings as well. They come up for one or 2 years and then they are gone. Too iffy for my garden and zone so I tend to not grow them. 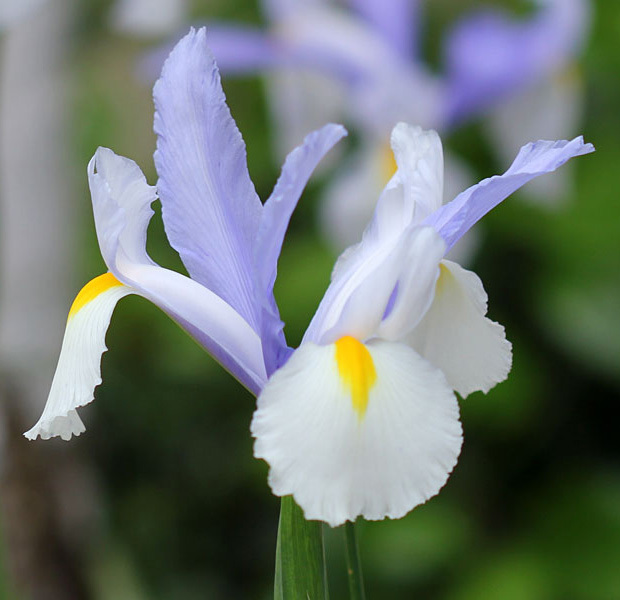 Instead I grow the dwarf Dutch iris, the bearded, Japanese and native irises. 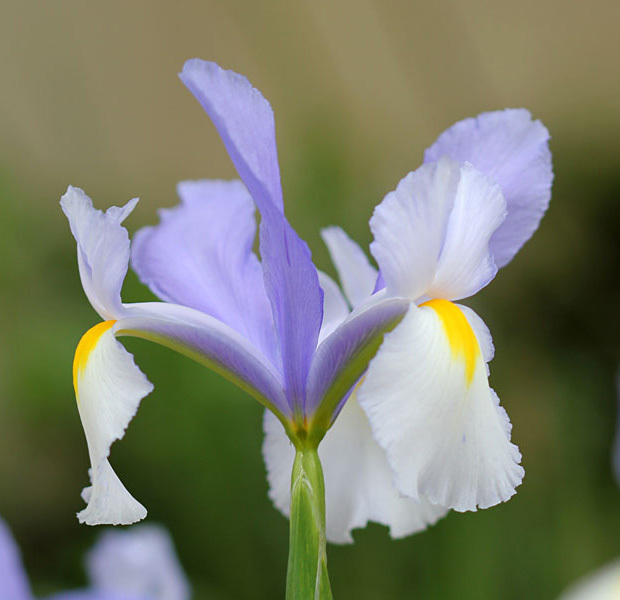 I feel the same way about Irises (daylillies too) — the blooms are great, but when the plants aren’t in bloom (most of the year) they’re just not attractive to my eye.